That’s a good secondary use for this. This might make a back door catch all for the in-laws. Turned out nice Joe. I like the red. I also like the intended purpose. 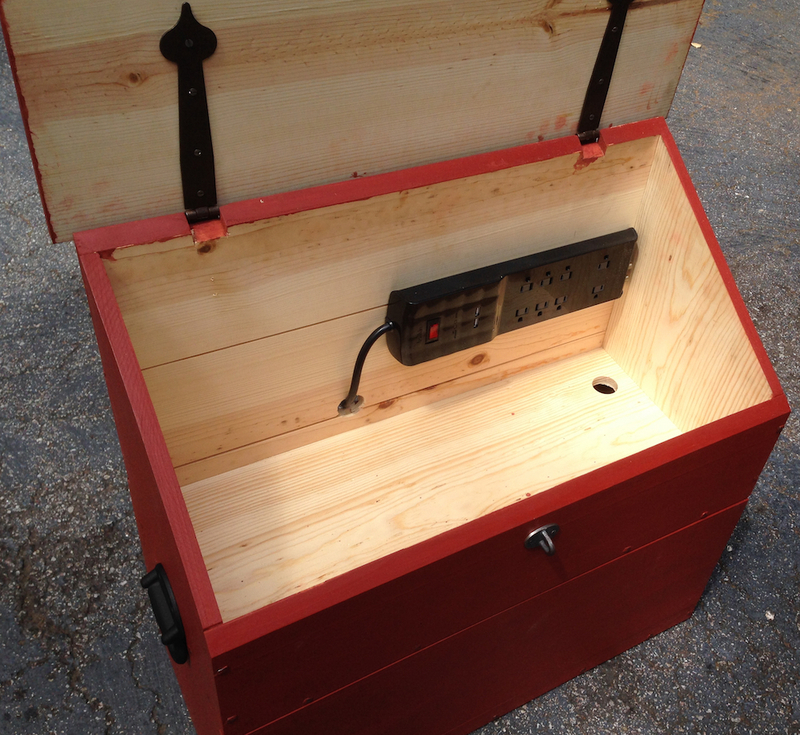 That’s a great way to sneak a tool chest into the house! Nice job! 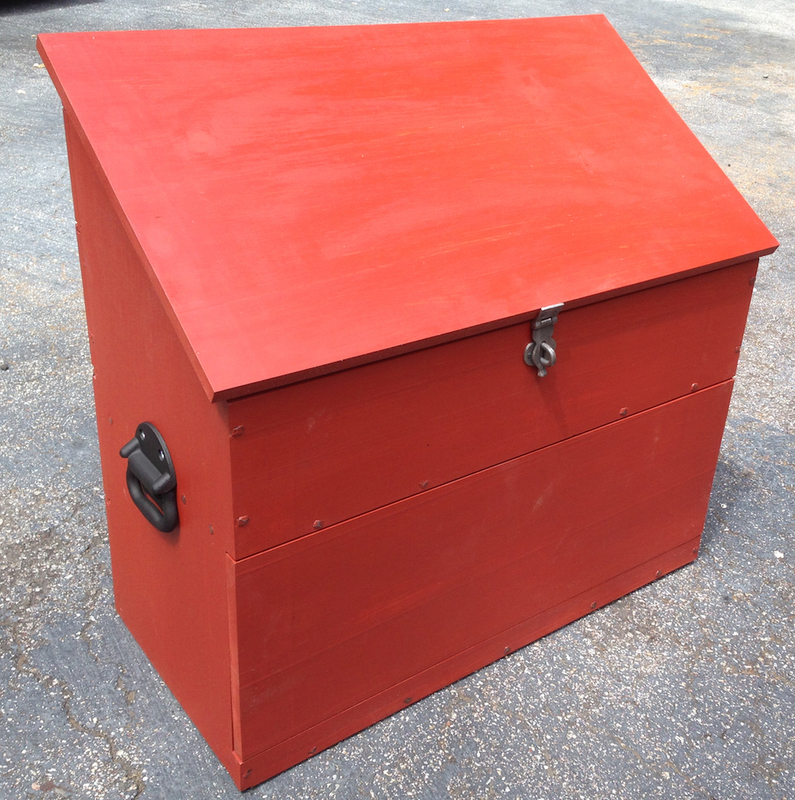 I like the red milk paint. I used those hinges on a 6 board chest. I bent the leaves and mounted them inside the chest, rather than on the outside. It worked a treat. Hi Joe, That looks great!